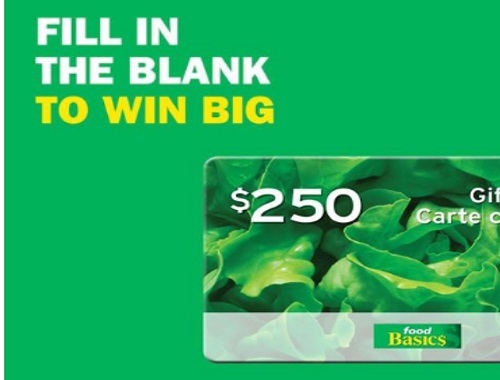 Food Basics is giving away a $250 Food Basics gift card! Fill in the blank with your answer to enter for the chance to win a $250 gift card! If I could, I would make a pumpkin-spice________. Post your answer on their contest post linked below. Contest closes October 1, 2017. Limit 1 entry per person,per day.